Located squarely in the middle of the U.S., Kansas City is about as far from an international border as a place can get, yet the architectural output of this little city punches above its weight. Kansas City has sprouted a number of notable architecture firms that work on local, national, and international stages. Consider glass and metal specialists, Zahner, for example. The firm, which has been based in Kansas City for more than a century, has produced intricate facades and custom fabrications in Asia, the Middle East, Europe, and North America. 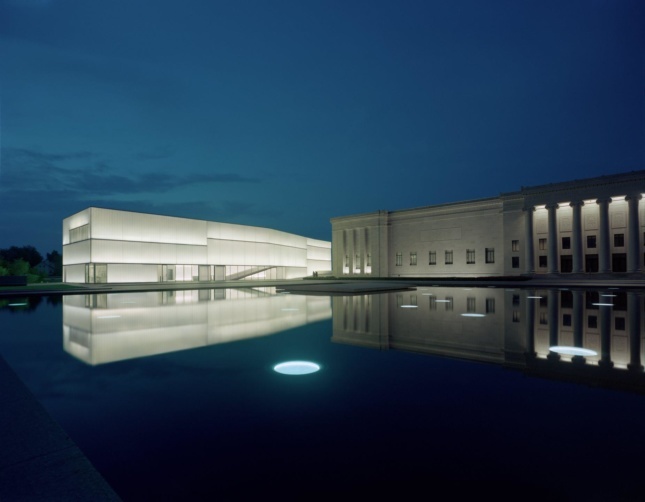 These include the Kauffman Center for the Performing Arts and its own headquarters in Kansas City, the Petersen Automotive Museum in Los Angeles, Grace Farms in Connecticut, the Miu Miu Aoyama luxury retail store in Tokyo, a Maggie’s Center in Dundee, Scotland, and a soccer stadium in Basra, Iraq. 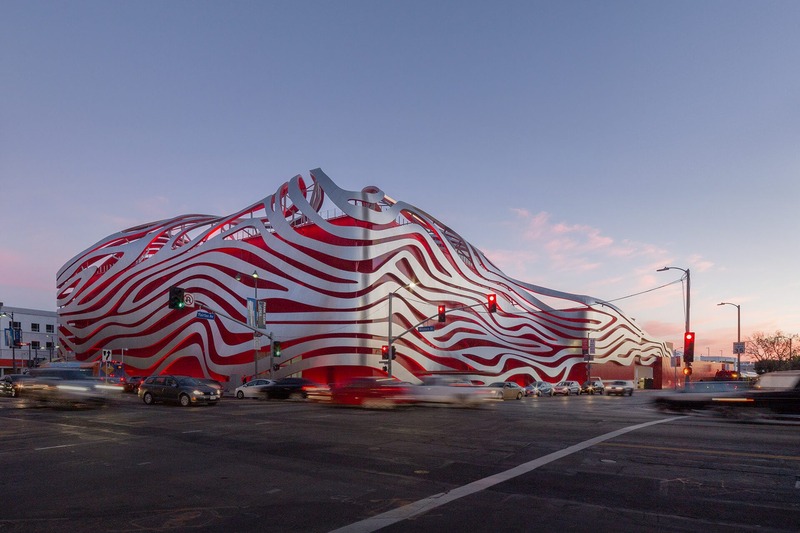 Zahner has now become the industry’s go-to for bespoke, complex facades. 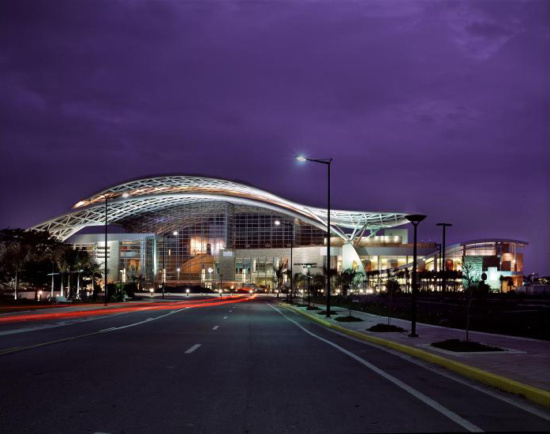 The latter was a collaboration with another Kansas City-based firm, stadium specialists 360 Architecture (now HOK). 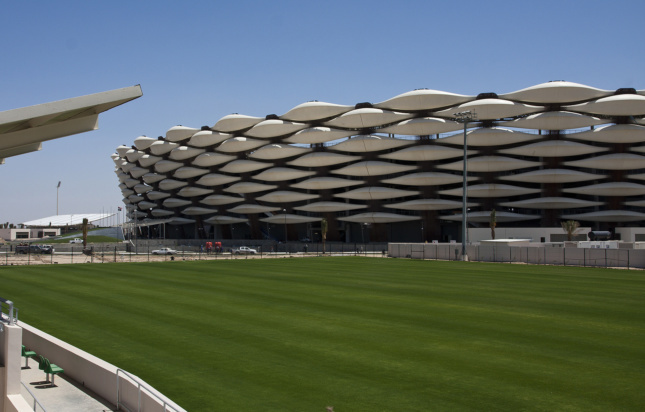 Known as the Basra Sports City Stadium and completed in 2013, the development’s landmark 65,000-seat stadium is draped in perforated and pre-weathered Solanum Steel panels that fall between an undulating concrete surface. Design excellence is being practiced in Kansas City, too, as local firms Helix Architecture + Design, SFS Architecture, Walter P Moore, Populous, STRATA Architecture + Preservation, BNIM, and Gould Evans are demonstrating with a mix of new and adaptive reuse projects, all varying in typology. Helix Architecture + Design’s James C. Olson Performing Arts Center for the University of Missouri is a renovation and 4,000-square-foot expansion, completed in 2016, to address the functional deficiencies of the inherited 1970’s building. The renovation brought in more light and updated internal spaces. 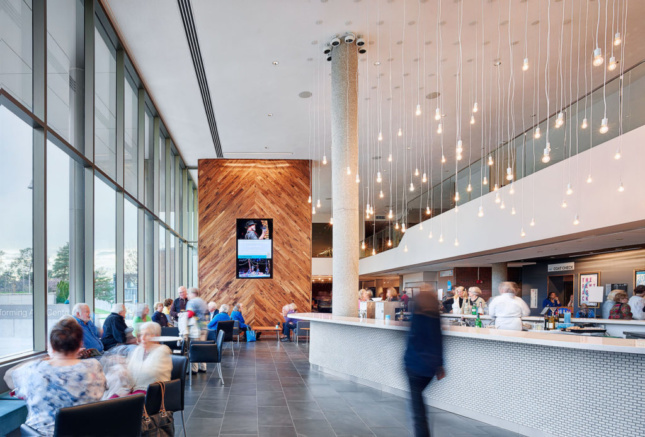 A new, bigger lobby has been encased by an added exterior glass curtainwall facade to enhance the building’s presence on campus, while improvements to the Spencer Theater have been made and a patron lounge expanded. Representatives of all these firms will be on hand to delve deeper into the growing architectural resources Kansas City has to offer at Facades+ AM next week on July 19. There, Travis Bailey will be joined by Gus Drosos, Technical Principal at HOK, as conference co-chair, overseeing three panels. These will look at how firms offer facade solutions in Kansas City, the U.S., and beyond, addressing the climate, client, and cultural challenges these bring. For more information click here. Seating is limited.